How Much To Rent A Yacht For The Day in Chicago? 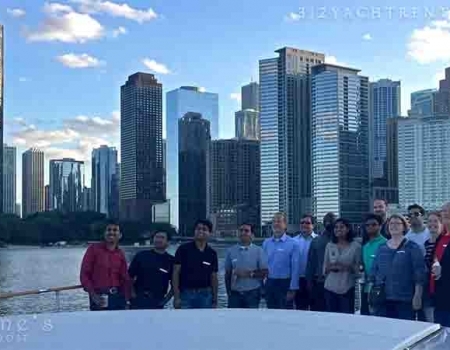 Most people have no idea what it costs to rent a yacht in Chicago. But what ever you do. Make sure the yacht is fully licensed with a current COI. And for you Landlubbers that’s a “Certificate of Inspection” from the US Coast Guard if your planning on cruising here in Chicago. If not your party on the water might get cancelled on short notice or end abruptly with a bad ending having the Coast Guard sending you home and totally wrecking your event. Be smart and check it out first, not all boat and yacht rentals are created equal. 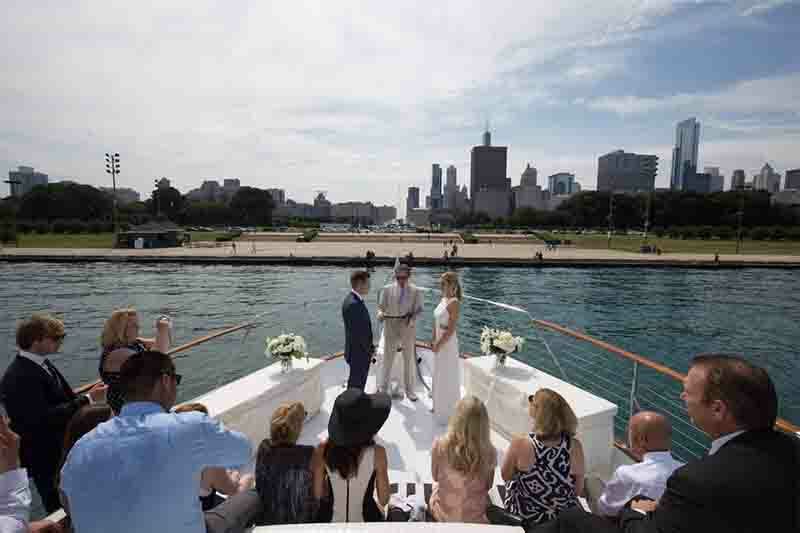 A lot of people ask how much it cost to rent a yacht in Chicago or what the prices are to rent a boat for a day? You would think the answer would come quickly but it’s not that easy. With a City as big as Chicago there’s not that many options available to us. On Navy Pier you have the larger cruise boats like the Odyssey, Anita Dee, Mystic Blue and Spirit of Chicago. With those boats, they’re expensive, informal, too large and come with big crowds. You’ll have to share them with a bunch of people that you don’t know or want to know all at the same time. Definitely not a private yacht experience. After that, there’s only about 6 or 7 other LICENSED yachts and most of those have been gutted to look like floating banquette halls which really takes away from the private yachting experience that your looking for. 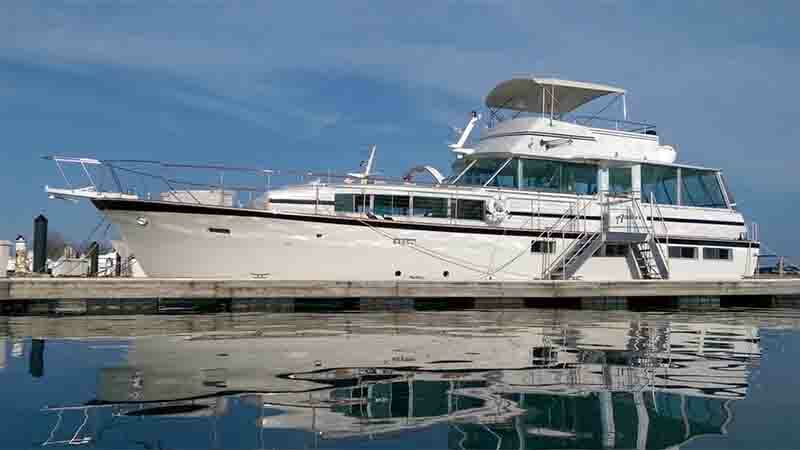 Chartering a private yacht here in Chicago pricing varies depending on a lot of factors. 1) Size of the yacht. Small boat, big boat, small yacht or a larger yacht. ( Chicago doesn’t have any Mega yacht rentals for hire). 2) Condition of the yacht. Some Chicago yachts rentals are run down and only a couple of them are pretty nicely maintained ( you should go and see them first). 4) How many people will you want to have aboard ? 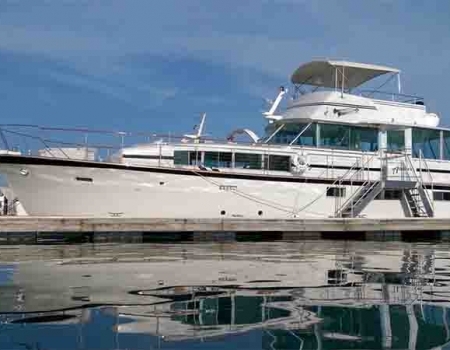 This charter yacht below is certified and can comfortably hold up to 45 passengers if need be. 5) What kind of food and drinks do you want to serve your guests ? We deal with the finest restaurants in Chicago for catering or we can do sub-sandwiches, pizza and anything in between from anywhere you want. 6) What kind of service do you want to provide for your guests. More or less crew means better service. First class service and attention to details comes from first rate servers and bartenders. 8) Which day of the week is also important. During the day on a Monday is less expensive than the 4th of July, Air and Water show, etc. 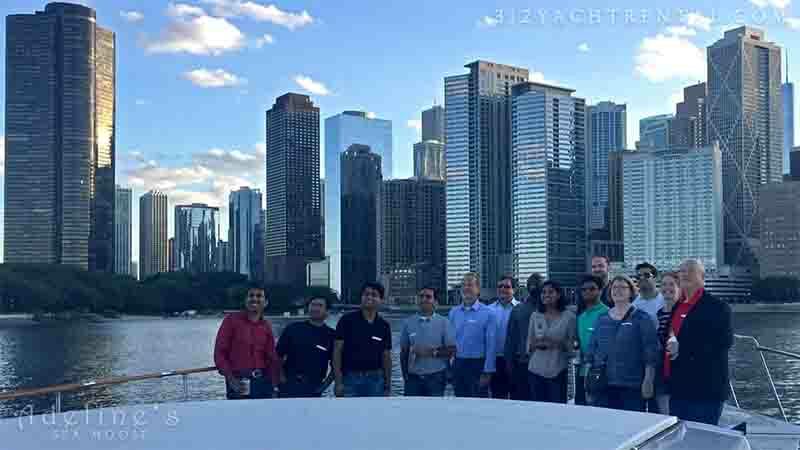 Here at Chicago Private Yacht Rentals our Charter prices vary and we would be happy to give you a free quote and discuss how we can meet or exceed your needs at the lowest possible rates.